(Bloomberg) -- Let’s be honest: You’ve got no chance of picking a perfect NCAA bracket. The odds against perfection are 1 in 9.2 quintillion. With just 7 quintillion grains of sand on Earth, you’ve got a better shot at finding the one painted Carolina Blue than picking the winner of all 63 tournament games typically included on a bracket. With perfection out the window, what’s the best strategy for winning your office pool? Use game theory, which measures the strategic interaction between rational players -- or how we make decisions. “The majority of casual participants are reasonably predictable, but even one game theory picker -- whether someone who has thought about the formal mathematics or someone who has intuited the principles from experience -- can make a big difference,” said Aaron Brown, an investor who writes for Bloomberg Opinion and who has written about the optimal ways to pick an NCAA bracket. The problem, according to Brown, isn’t only that your selections have to be well-informed. They also have to be different from what other armchair prognosticators -- intelligent or otherwise -- put down on their bracket. Sharing your picks with your toughest competitors can be an effective, counter-intuitive strategy. Just be discerning with who you share with. Remember, you’re sharing to differentiate yourself from other informed contestants, not to help the clueless. Talwalkar also advises against being a contrarian. “My sense is people overthink the favorites and go for too many sleeper picks, so the favorites still end up being good choices,” he said. Duke, Virginia, North Carolina and Gonzaga are the No. 1 seeds in the tournament. That sentiment is echoed by Ran Shorrer, an economics professor at Penn State. When choosing games outside of the first round, Shorrer suggests picking in terms of probabilities. Think of your Final Four choices not as the most probable winners of the match-ups you’ve created, but as the teams that you believe are most likely to win the region. 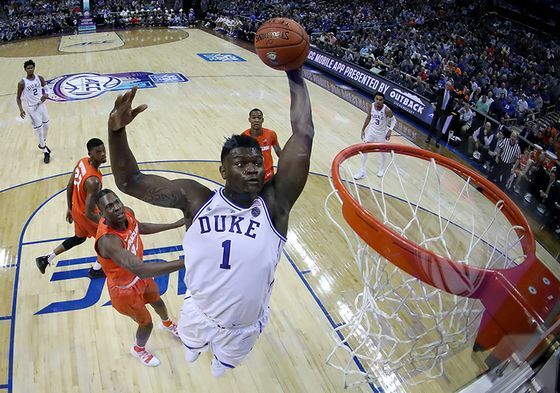 That might result in your having the tritest championship pick of all -- picking Duke to go all the way -- if you didn’t go to school in Durham with Christian Laettner or Steve Wojciechowski. “If I think Duke is going to beat most teams, I should be taking them overall,” said Shorrer.